Ah, the beautiful colors of the sea, captured in the brand new Seaside papers from Close To My Heart. For the month of August, Seaside will be my featured papers for many of my scrapbooking and cardmaking workshops. Please see below for further details. 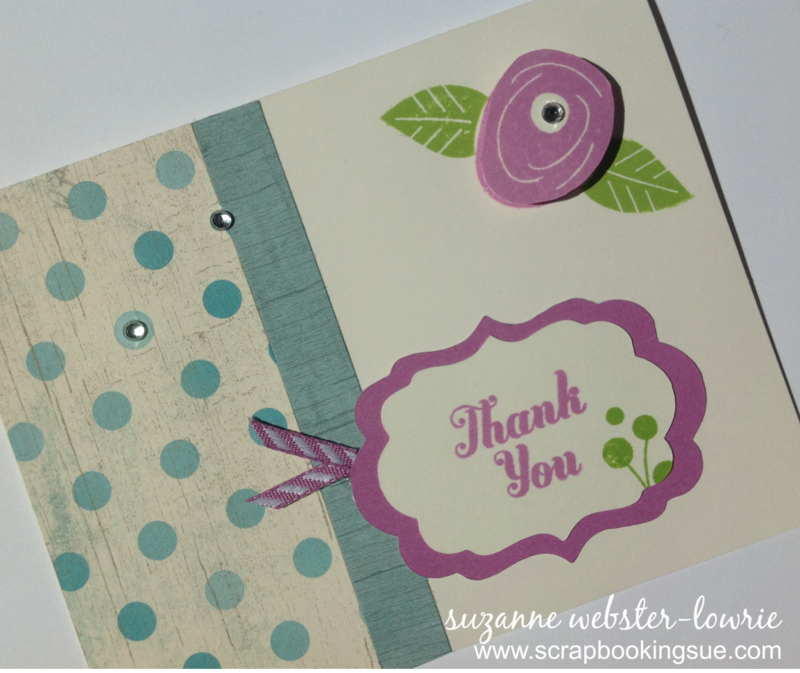 This “Thank You” card was made with a card from the Colonial White Cards and Envelopes Value Pack. Although I usually cut cardstock to make my own cards, I love the freedom to reach for a pre-cut card and matching envelope from my value packs. And at around $0.30 for a card AND envelope, it is not only convenient, but economical, too! The patterned paper on this card is from the Seaside collection, and the cardstock pieces are Thistle and Colonial White. 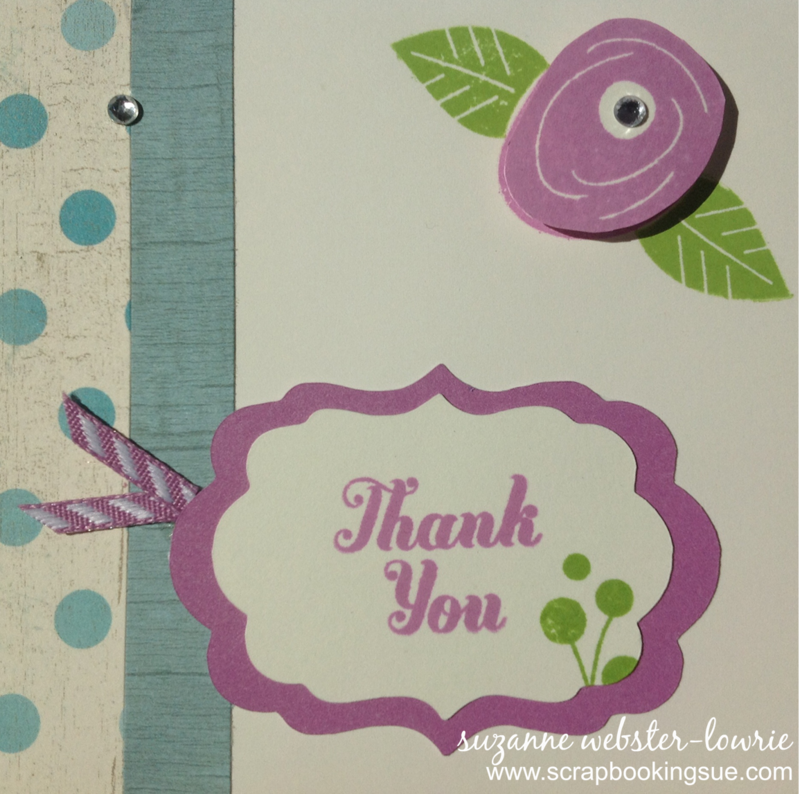 I used the CTMH Art Philosophy Cricut cartridge to cut the cardstock for my “Thank You” sentiment. The sentiment and flower were stamped with Thistle ink and the leaves and buds were stamped with Pear ink. The flower was adhered with foam tape to pop off of the page. 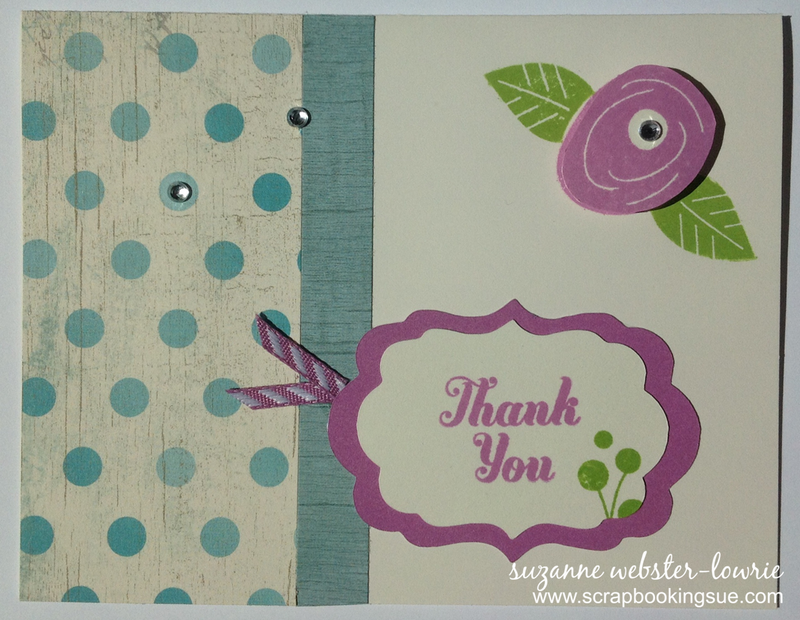 Small clear sparkles were added to the center of the flower and to the patterned paper. Two small pieces of Thistle Diagonal Striped Ribbon were added behind the cardstock to finish off the card. For more information about the August Scrapbooking and Cardmaking Workshops, please visit the “Kits” tab in the menu above.